Which of These Interior Styles is The Right One for Your Home? Choosing the right style for your home can be quite tricky, since there are many of them to choose from, including modern, rustic, Scandinavian, industrial, coastal, bohemian, shabby chic etc. All of these different styles have some features that separate them from the others and as such can suit different tastes. Let’s check out the features od 3 of these styles to see if some of them can suit to your taste. Shabby chic interiors are quite popular nowadays. This style includes decorating with both new and already used items and it’s one of the best for expressing your creativity. Colors – neutral tones, such as cream and white is the best choice for base color in these interiors. Some pastel tones are also often used, mainly for details. 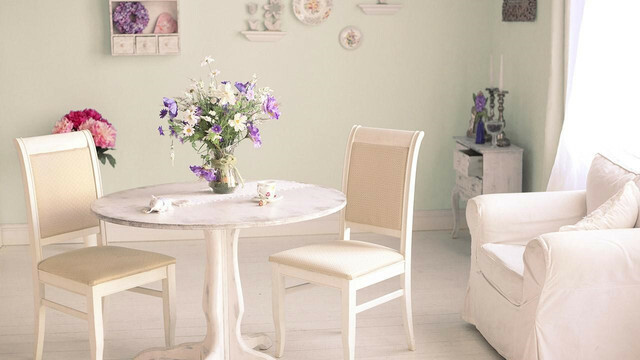 Distressed or vintage furniture is the right choice for shabby chic interiors. You can buy some from thrift stores, or you can easily repurpose some old pieces. Mixing and matching is the key. A single print, pattern or texture is not the case for this style. So, feel free to mix and match several of them. The coastal style is the right choice for all of you who live along the coastline or simply love the beach. The cozy and relaxed atmosphere is what best describes this style and the following features are just some of the many this style is recognized for. Colors – It’s more than obvious that white and blue are the right colors for this style. These are the shades of the beach and ocean and white is often used as the base color and blue shades are used for details. Patterns – The striped pattern is the best choice for coastal interiors and there are many ways to add it, both bold and subtle. Also, the nautical pattern is often associated with this beach style. Mid-century furniture is the right choice for these interiors. Also, handmade timber furniture can fit in. 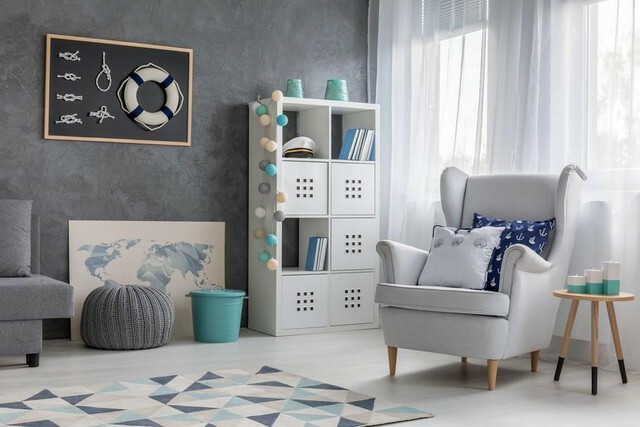 Accessories – Beach inspired decorations, including seashells, sea stars, and surfboards, as well as versatile rope decorations are a must-have in these interiors. The industrial style may be quite opposite to the above ones but is really popular too. Don’t get surprised if some of the building materials are not concealed, because this is one of the main features of this style. Colors – neutral colors are often used in industrial interiors, but dark and bold colors are also used to create a contrast. Wood and metal surfaces are mainly seen in industrial interiors. Most often there is wooden flooring and wooden furniture and the contrast is created with some glossy metal surfaces. Concrete can be also part of these interiors. Exposed beams are often seen in industrial interiors, so if you go for this style, forget about flat and white ceilings. Lighting – hanging luminaries, ceiling lights on rails or cables, oversized floor lamps or some directional lights are the best choice for these interiors. So, which of these styles will you choose for your home interior?